When I went to enquire about the facial, I spotted this !!! ( although its stated so, the SA told me this will be change to personalized makeup class, where the makeup artist will teach us makeup skill using their latest Spring Collection. Sets that will be available on the dates! Below are the door gift for the event! Therefore IF you buy this promotion from Klcc on these date, you get extra door gift worth RM250 on top of the promotion! And if those of you who love makeover (well I do! ), then head up Gardens Isetan and buy their facial, and get Rm100 door gift/free makeover & hairdo and A4 portrait to be taken home! Of course you all need to consider the location for your facial. In my case, Klcc would be more convenient for me. So good deal right ! 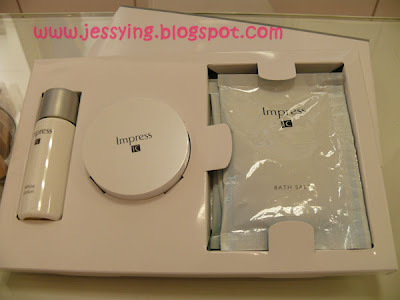 Don't say I tempt you ah ! 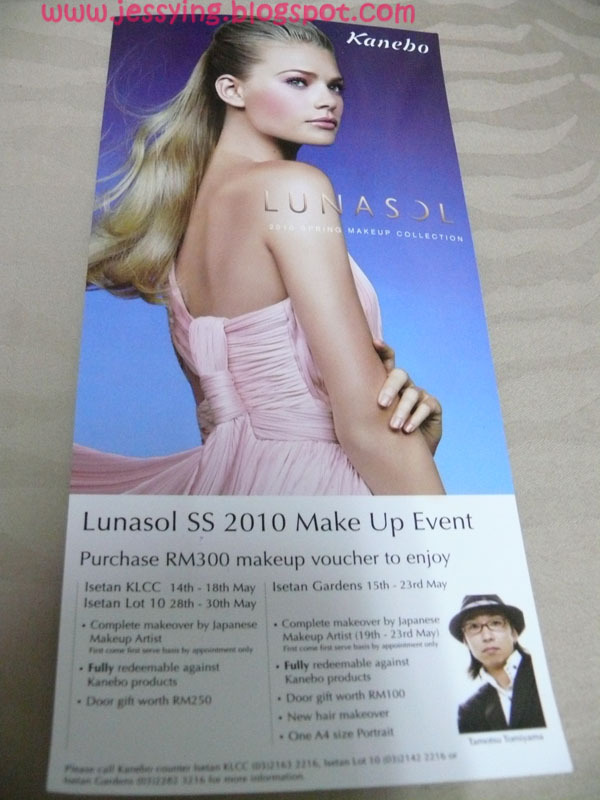 p/s: Coming up soon, Lunasol Spring Collection !! Wash eyes enough, don't buy ! 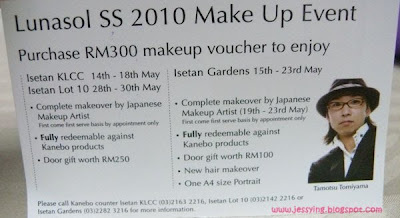 ISetan klcc one is no full makeover by japanese makeup artist and is personalised makeup class? 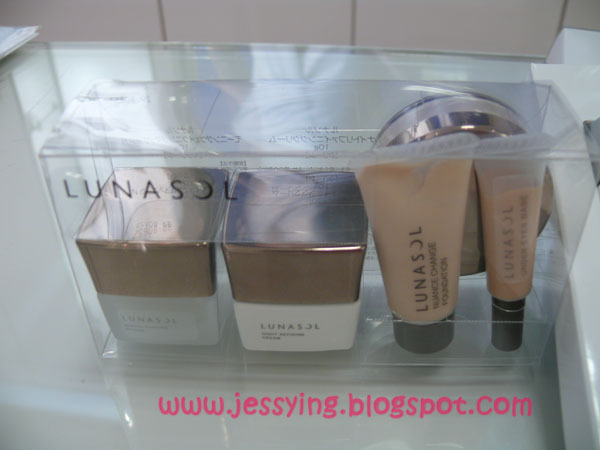 Susan : Yes, and you will be replaced with the Lunasol travel set (worth rm150) instead. yes love Lunasol max !!! !